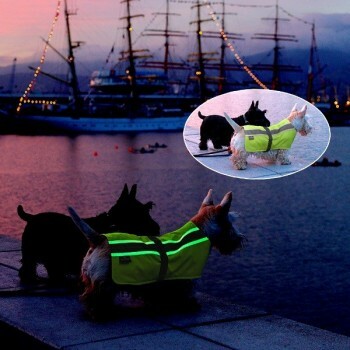 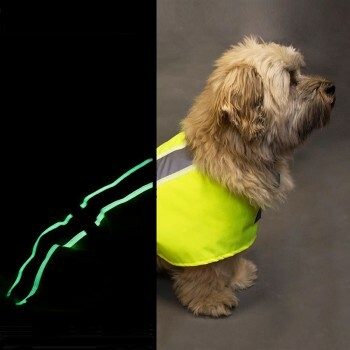 Petlife Flecta Vizlite Dog Coat 3-in-1 hi-vis 11 sizes Coat size 10"
Coat size 10" 12" 14" 16" 18" 20" 22" 24" 26" 28" 30"
Petlife’s new Vizlite® DT Dual Technology Dog Jackets will ensure high visibility for dog and walker in all light conditions, even complete darkness. 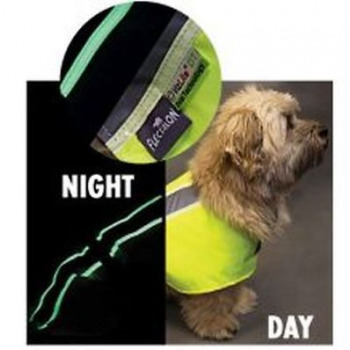 Just charge them under any UV light source and the afterglow literally lasts for hours, without the need for batteries, electricity or wires. 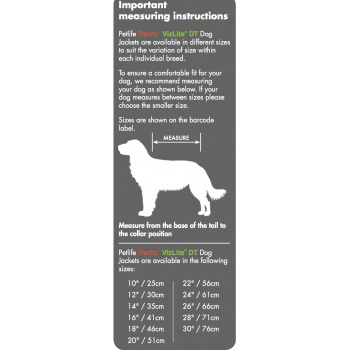 Available in 11 sizes to suit most breeds and sizes of dog.